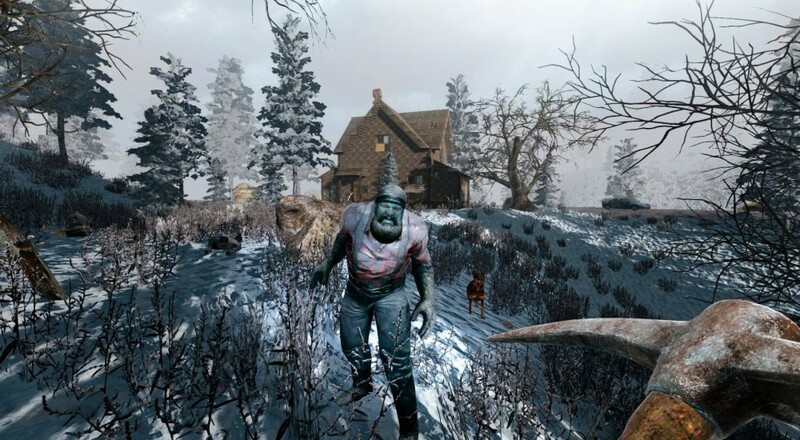 The action/survival/crafting/open-world RPG 7 Days to Die kicked off in Steam Early Access a little over 3 years ago. In that time, the game has added a lot of new features and functionality, and is likely getting close to a full release. At least, one would hope that it is, as the newly formed Telltale Publishing branch of well-known dev Telltale Games has picked up the title for a console release. The new division of Telltale just popped up last week with the news that it would act as the publisher in bringing the title over to the PlayStation 4 and Xbox One sometime this summer. What's more, the game would be getting a little boost on the co-op front. Per the developer, The Fun Pimps, the console release will add "a new multiplayer mode supporting local split-screen for couch play, additional online multiplayer modes and features will be revealed in the coming weeks." 7 Days to Die is currently available on Steam Early Access for $24.99, and will retail for $29.99 when it arrives on consoles this summer. Page created in 1.2889 seconds.